Aromatherapy also referred to as Essential Oil therapy, is a form of alternative medicine that uses essential oils and other aromatic compounds from plants for healing. It has also been defined as the art and science of utilizing naturally extracted aromatic essences from plants to balance, harmonize and promote the health of body, mind and spirit, thus enhancing the body’s ability to find a natural way to heal it’s self and improve immune response. It is based on the principle that natural fragrances, or essential oils, from certain plants or flowers, can affect our moods, and consequently how we think or feel at any given time and that it has medicinal benefits including antidepressant and antibacterial properties. Although the word “aroma” makes it sound as if the oils are inhaled, they can also be massaged into the skin, applied in other topical ways such as baths or steam and even taken by mouth. (You should never take essential oils by mouth without specific instruction from a trained and qualified specialist.) Whether inhaled or applied on the skin, essential oils are gaining new attention as an alternative treatment for infections, stress, and other health problems. In most cases scientific evidence is still lacking. However, some evidence exists that essential oils may have therapeutic potential. The results from the study on a large number of patients have shown that they respond positively to the transdermal absorption method of oil. The results indicate that the aromatherapy reduces anxiety levels and stress which can result in lowering blood pressure, increase quality of sleep, and reduce toxicity. Many patients see benefits and give willing testimonials to the results. Researchers are not entirely clear how aromatherapy may work. Two mechanisms are offered to explain the purported effects. One is the influence of aroma on the brain, especially the limbic system through the olfactory system.. The other is the direct pharmacological effects of the essential oils. The fragrances in the oils stimulate nerves in the nose and those “smell” receptors send impulses that communicate with parts of your brain (the amygdala and hippocampus) that serve as storehouses for emotions and memories.. Depending on the type of oil, the result on the body may be calming or stimulating. When you breathe in essential oil molecules, some researchers believe they stimulate these parts of your brain and influence physical, emotional, and mental health. For example, scientists believe lavender stimulates the activity of brain cells in the amygdala similar to the way some sedative medications work. Other researchers think that molecules from essential oils may interact in the blood with hormones or enzymes to cause changes in blood pressure, pulse, and other body functions. Another theory suggests that the fragrance of certain oils may stimulate the body to produce pain-fighting substances. 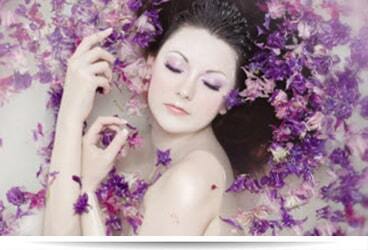 Aromatherapy massage is a popular way of using essential oils because it works in several ways at the same time. Your skin absorbs essential oils and you also breathe them in. Plus, you experience the physical therapy of the massage itself. The same is true for aromatherapy treatment in baths or steam bath applications which provide the breathing as well topical application with hyperthermia. What are the effects/benefits of Aromatherapy? Aromatherapy is used in a wide range of settings — from health spas to hospitals — to treat a variety of conditions. Human studies are lacking. However, in general, it seems to relieve pain, improve mood, and promote a sense of relaxation. In fact, several essential oils — including lavender, rose, orange, bergamot, lemon, sandalwood, and others — have been shown to relieve anxiety, stress, and depression. Several clinical studies suggest that when essential oils (particularly rose, lavender, and frankincense) were used by qualified midwives, pregnant women felt less anxiety and fear, had a stronger sense of well-being, and had less need for pain medications during delivery. Many women also report that peppermint oil relieves nausea and vomiting during labor. In one study, Neroli oil helped reduce blood pressure and pre-procedure anxiety among people undergoing a colonoscopy. In test tubes, chemical compounds from some essential oils have shown antibacterial and anti fungal properties. Some evidence also suggests that citrus oils may strengthen the immune system and that peppermint oil may help with digestion. Fennel, aniseed, sage, and clary sage have estrogen like compounds, which may help relieve symptoms of premenstrual syndrome and menopause. Bergamot is a citrus-scented essential oil extracted from the Citrus Beragamia tree, a native of Southeast Asia, but can now be found primarily in Italy and along the Ivory Coast. Bergamot is used to treat stress, depression, anxiety, anorexia, and a number of infections including skin infections like psoriasis and eczema. It is used to stimulate the liver, digestive system and spleen, and provide an overall lift to those suffering from a general malaise. CEDARWOOD: Cedarwood is a woody-scented essential oil that comes from the Juniperus Virginiana tree native to North America. It has been around for thousands of years, dating back to the ancient Egyptians, and is thought to be one of the first essential oils ever extracted. It provides a spiritual lift. It also plays a role in aiding respiratory problems as well as skin issues. Use Cedarwood to help ease urinary tract infections, too. Cedar wood oil benefits the skin by its sedating ability which relieves itching. Its astringent action is great for acne, oily skin, as well as for hair and dandruff. It has a pronounced effect on mucus membranes. It has a calming and soothing effect on the mind and is of great help in conditions associated with anxiety and nervous tension. It is also of value in cases of arthritis and rheumatism. CHAMOMILE: Chamomile, widely known for its soothing characteristics (particularly in tea), is extracted as an essential oil from the leaves of the flowering plant of the same name. There are two types of Chamomile plants, the Roman Chamomile and German Chamomile. The aromatherapy oil can be extracted from both varieties, but healing properties are slightly different. Many of the following properties are consistent in both Roman and German Chamomile, unless noted otherwise. Chamomile is a powerful calming agent, as well as antibiotic, antiseptic, antidepressant and overall mood lifter. The German variety is often better suited to battle inflammation, specifically urinary tract and digestive inflammation. Both also have analgesic properties and can help to eliminate acne. Roman chamomile: antispasmodic, menstrual cramps, sedative, relieves anxiety/stress, insomnia, great for children (comforting, soothing), anti-inflammatory. EUCALYPTUS: Eucalyptus oil comes from the Eucalyptus tree, native to Australia. It has a powerful scent and is easily recognizable. Eucalyptus is a powerful treatment against respiratory issues. In addition it is used as an antiseptic, antispasmodic, decongestant, diuretic and stimulant. It also has cooling properties, which gives it deodorizing characteristics; therefore, it helps fight migraines and fevers. This cooling capability also helps with muscle aches and pains. FRANKINCENSE: strengthens the immune system (CO2 extract), soothes inflamed skin conditions, cell regenerative. GERANIUM: PMS, indicated for hormonal imbalance, antimicrobial, nerve pain. GINGER: digestive, useful to eliminate gas, constipation, relieves nausea, warming emotionally and physically, anti-inflammatory, relieves pain, immune modulator. JASMINE: Sweet-smelling Jasmine is extracted from the Jasminum grandiflorum, an evergreen with origins in China. Jasmine is an expensive oil that has powerful healing properties; it aids with everything from depression to childbirth. It is known most for its relaxing properties. Jasmine has been known to ease depression and childbirth, in addition to enhance libido. It is great for respiratory problems, addiction issues, and reducing tension and stress. LAVENDER: Lavender is one of the most popular essential oils on the market  and for good reason. It smells great and is aneffective stress-relieving oil. Lavender is a healing aid against colds, flu and migraine headaches. Lavender has the following therapeutic properties: antiseptic, antidepressant, anti-inflammatory decongestant, deodorant, diuretic and sedative. It is wound healing, treats burns, cell regenerative, insect bites-. reduces itchiness, general skin care, antispasmodic. It relieves stomachaches. LEMON: Lemon is a favorite essential oil because of its clean smell but has numerous therapeutic qualities as well. It improves concentration and eases symptoms of acne and arthritis. It helps with everything from skin irritation to digestion to circulation problems. It is a natural immunity booster and can even help reduce cellulite! Lemon oil helps to alleviate headaches and fever, and is a quick mood enhancer. MARJORAM: Marjoram was a popular plant used by the Greeks in medicines. It helps with digestion issues such as constipation and cramps. Also, it aids in anxiety and stress relief, calms hyperactivity, combats fatigue and depression and alleviates respiratory and circulatory issues. Try adding a few drops of Marjoram to the bath or vaporizer of a hyperactive child. PATCHOULI: A widely known essential oil, Patchouli is often associated with hippies or earthy types who are thought to use it for its mood-lifting properties. Patchouli comes from the plant Pogostemon cablin Patchouli serves as a powerful skin care agent; it even promotes skin cell growth when applied directly to the skin. Patchouli helps to relieve anxiety, depression, and fatigue, curb addiction, reduce cellulite and bloating. PEPPERMINT: All you need is a whiff of peppermint to put the pep back in your step. Peppermint has a cooling, refreshing effect and is widely used to enhance mental alertness. Peppermint is a perennial herb that boasts natural energy-boosting properties. Some of the therapeutic properties of mint: cooling agent that enhances mood, sharpens focus, combats irritation and redness, alleviates symptoms of congestion, and aids in digestion. ROSE: Roses are some of the first plants to be distilled for their essential oil. Rose oil is pricier than other aromatherapy oils given the number of roses necessary to distill it. Rose oil is an ideal essential oil to have on hand. It helps with a number of illnesses and conditions, such as depression, anxiety and digestion issues. It is also helps with circulation, heart problems and respiratory conditions like asthma. It is a protector of the heart and is also good for your skin. ROSEMARY: This essential oil packs a powerful punch when it comes to aromatherapy uses. Throughout history the herb has been thought of as sacred. Widely known as a mental stimulant, the antidepressant properties of Rosemary oil make it ideal for enhanced memory, focus and overall brain performance. It also acts as an analgesic, soothing aching, cramping muscles, headaches and migraines. As an antiseptic it helps with digestive and liver infections. It is great for skin issues as well. SANDALWOOD: An evergreen, Sandalwood is easily recognized by its woody fragrance. It is an expensive oil given the length of time it takes for a tree to reach maturity, the best time to extract and distill the essential oil. It has numerous aromatherapy benefits. Sandalwood oil can help mucous membranes of the urinary tract and chest wall. It helps to alleviate chest pain. It is also used as a relaxing agent for tension relief. Many practitioners of yoga use Sandalwood for its calming and sexual properties. It is a hydration aid for the skin, as well as an anti-inflammatory. Sandalwood is an antibacterial herb. It is beneficial for skin problems, especially those of bacterial origin, thus useful in cases of dermatitis, acne, psoriasis, scorpion stings and other inflammatory skin conditions. It is also used to alleviate dry skin, rash and itching. It calms the mind and body, soothes tension and anxiety, thus helping those who are suffering from stress. TEA TREE: Tea Tree oil is one of the most popular and effective essential oils for aromatherapy use. It is widely known to boost the immune system and fight infections. It is a natural immune booster and it also fights infection. It works to heal skin conditions, burns and cuts. It acts as an insecticide. In addition, it helps to soothe and treat cold sores, respiratory conditions, muscle aches, the flu, dandruff, and athlete’s foot. YLANG-YLANG: Ylang-Ylang is recognizable because of its strong fragrance. Its sweet aroma is excellent for reducing stress and as an aphrodisiac. While its calming properties are its most powerful, Ylang-Ylang oil is also used to soothe headaches, nausea, skin conditions, stimulate hair growth, reduce high blood pressure and fight intestinal problems. What does it take to create the ultimate system in strategic wellness? For over a decade, under the leadership of André Smith, founder of Signature Health and creator of the HOCATT™, Signature Health has been dedicated to providing effective, easy-to-use wellness systems for everyone from the professional to the home user. Copyright © 2019 Signature Health Limited. All rights reserved. NOTICE: The Ultrasonic Cavitation function is no longer part of the HOCATT™ system, and is not included with the purchase of any HOCATT™ whether purchased directly from Signature Health Limited or any its agents and/or distributors. NOTICE: Any CO2 (carbon dioxide) bottle shown in any images and/or videos is purely used for demonstrative purposes only and is not included with the purchase of any HOCATT™ from Signature Health Limited or any of its agents or distributors. It remains the responsibility of the purchaser to source and acquire CO2 for use with the HOCATT™, at the purchasers own expense. DISCLAIMER: The content of this website is intended for informational and/or educational purposes only. This information is not intended to diagnose, treat, cure or prevent any disease or medical condition, and should not be used as a substitute for professional medical advice. Any information with regard to personal testimonies about Signature Health Limited’s products does not reflect or represent Signature Health Limited’s product claims. These statements have not been evaluated by the FDA. Signature Health Limited’s Products have not been evaluated or approved by the FDA or NDF, and we do not claim its intended use to diagnose, treat, cure or prevent any disease or medical condition.